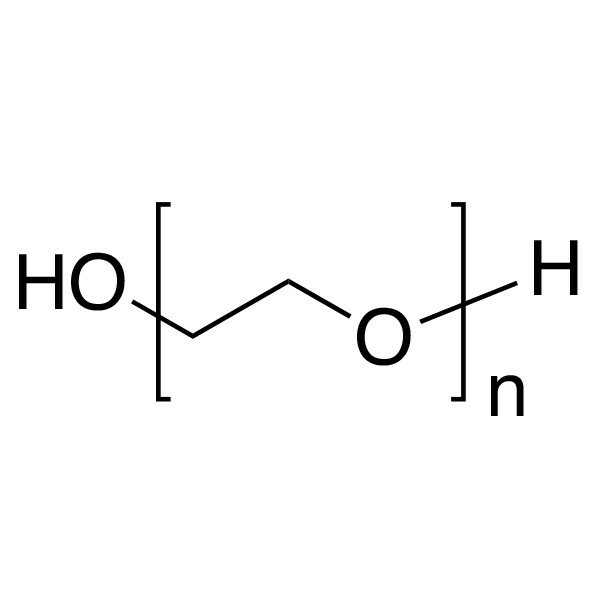 Poly(ethylene glycol) [MW 10,000 - 16,000] | Polysciences, Inc.
Polyethylene glycol (PEG) compounds are used in many industrial and biomedical applications. PEGs are water-soluble, nonionic, relatively inert, liquids or solids. The terms polyethylene glycol (PEG) and polyethylene oxide (PEO) refers to an oligomer or polymer of ethylene oxide. The term PEG is primarily used in biomedical field for oligomers and polymers with a molecular mass below 20,000 g/mol, and PEO for polymers with a molecular mass above 20,000 g/mol. Polymer chains are hydroxyl-terminated at both ends. At all except the lowest molecular weights polyethylene glycol has a broad molecular weight distribution ranging from ~ 0.5x to 1.5x the values shown.